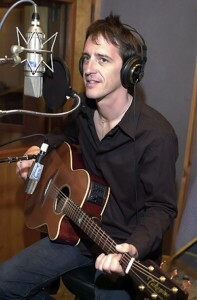 Rock icon Izzy Stradlin was recently at Ocean Way Recording in Hollywood to record and mix a new single,Baby Rann, which can be viewed below. Released in December and available on iTunes, Baby Rann was recorded and mixed (and videotaped) in Ocean Way’s renowned Studio B. Joining Stradlin on guitar and vocals in the studio were Rick Richards on lead guitar, J.T. Longoria on bass, Joey Huffman on Hammond organ, and Taz Bentley on drums and backing vocals. Stradlin is well known as the co-founder and former rhythm guitarist of the hard rock band Guns N’ Roses, which he left in 1991. Following his departure, he led his own band, Izzy Stradlin and the Ju Ju Hounds, for one album and tour. Since the late 1990s, Stradlin has released 10 solo albums, the last six independently. In 2012, he was inducted into the Rock and Roll Hall of Fame.